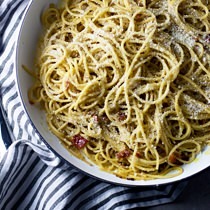 5 Easy Meals with 5 Ingredients (or Less) | Valet. Who says you need a lot of ingredients to cook a quality meal at home? We rounded up five simple meals you can make any night of the week with just five ingredients or less—assuming you're already stocked with some olive oil, salt and pepper. You've got to appreciate a dish that can be made in 15 minutes and still impress any date you invite over for a last-minute dinner. It's decadent and comforting and will instantly become one of your new favorites. This elevated take on your average pizza makes for an easy weeknight dinner. 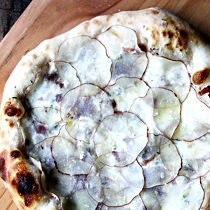 Smokey bacon and herbs are topped with thinly sliced potatoes and baked until crispy and gooey. A classic Japanese dish that comes together quicker than ordering in from your local takeout joint. 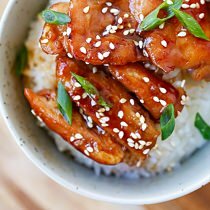 All you need is chicken, soy sauce and sugar. They also recommend some rice wine for a pop of authentic flavor. 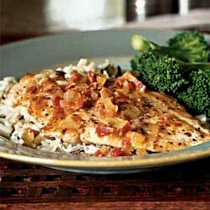 Some bacon and a dash of apple cider give this easy pan sauce the perfect sweet and salty vibe that transforms an otherwise ordinary chicken breast. Serve it with rice or roasted vegetables to finish it off. Want a quick and delicious dinner that's also healthy? This low-carb recipe is high in protein, low in calories and even Paleo-friendly. 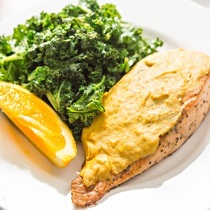 Salmon filets are topped with a tangy mustard glaze. Serve it with a green vegetable and you're set. How a staple will feed you for a week. Now world's most versatile condiment.